The classic A4 letter paper is most frequently used in cover letters, product information, invoicing or office-internal processing. 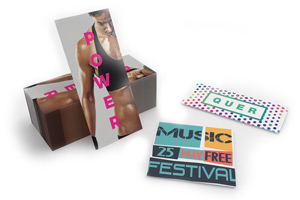 At PrintCarrier.com, you can choose between three different paperweights - 80gsm ecological paper, 90gsm or 120gsm offset - and print it with your logo or slogan in your company colour. The practical DIN A5 format is suitable for smaller correspondences, whether internal or external. 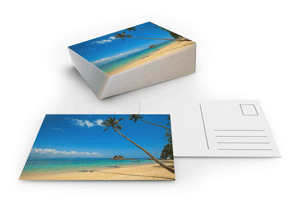 Print 90g offset paper on one or both sides with relevant information for your addressees. Information transmission in its handy form. Use the pre folded DIN long writing paper for quick sending of letters, mailings and other information. 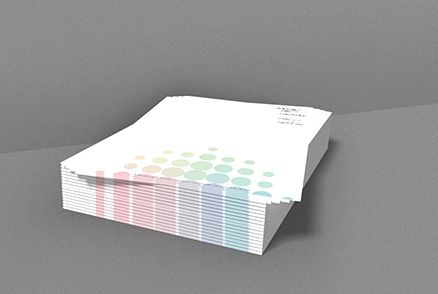 The 90gsm offset paper is supplied printed and folded, so that it can be inserted in a matter of seconds. A quick and convenient way for your next shipping! A special bonus for your next correspondence is our compliment slip for your invitation, your special offer or your giveaway. 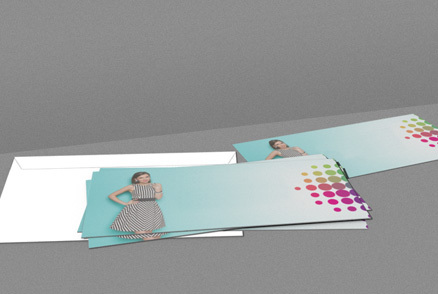 Choose between 90gsm or 120gsm offset paper to help communicate your information to your customers in a different kind of way! 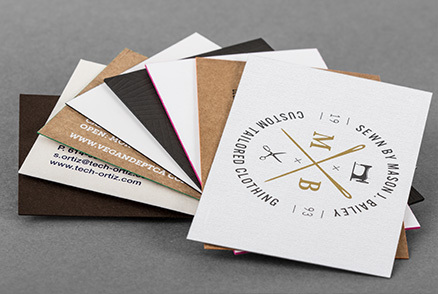 Unlike flyers and brochures, which are optional, letterheads – like business cards – are among the basic business documents that every professionally operating firm absolutely needs. Of course, the term “letterhead” in the generic sense is used not only to refer to the heading at the top of sheets of stationery, but also to entire printed sheets such as invoice forms, delivery notes, data sheets, letters, order confirmation, terms and conditions and product information sheets. In other words, virtually anything that you might want to send out on high-quality paper with a brilliantly coloured logo or other heading with crisply printed text. A typical set of business documents comprises stationery (letter paper), invoice forms, delivery notes etc. 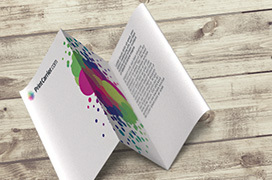 as well as bespoke envelopes, business cards, pads etc. To ensure that the sharpness of the lettering, the depth of colour and the quality of pictures are consistent across all of the documents, we offer to print a complete business package for you as a single order. This lets you forge a corporate style and image from the word go, with uniform colours, quality and overall look. 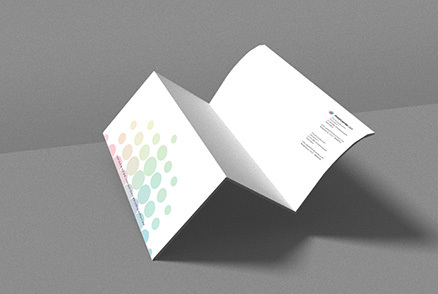 Portrait format is far more usual than landscape format, although we will gladly print your letterheads either way. After all, you’re our customer, and for us the customer is King! Measuring 14.8 x 21cm, the A5 format is half the size of A4. This format hasn’t prevailed for business applications, except for items like receipt forms, flyers, mailshots and the like. But it is quite frequently encountered for personal uses – e.g. for stationery, invitations, thank you notes, birthday messages etc. 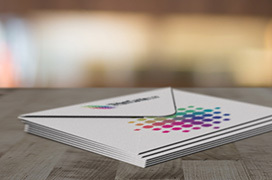 Our prefolded letterheads are especially well-suited for mass mailing of items like newsletters, trade fair invitations, letters to customers, event announcements, invitations to jubilees etc. The starting point is A4 sheets, which we print on one side with your text, logo and/or heading, pictures and address data. They then go to the finishing department where they are folded twice in a Z-scheme, resulting in a DL format measuring 9.8 x 21cm. This size is just right for quick insertion in any standard DL, C6 or C5 envelope. A clear benefit for you: you spend less on printer cartridges and your staff are spared the ordeal of folding up to 10,000 sheets. Say you’re sending out giveaways, ordered vouchers or purchased admission tickets. In all three cases, a compliment slip is perfect if you’d like to add a few personal words or a brief standardised message or announce an upcoming promotion to a senior position. It fits perfectly into DL, C5 and C6 envelopes and can help cultivate customer relationships or generate new business: effects that pay off for you. By the way, you can also have us print envelopes for you. Is it for sending invoices? We recommend standard A4 letter paper for this. Our prefolded DL format is the best choice. Will you be including it with a posted or shipped product? Will you be using it for all of your written correspondence? Here too, we advise you to choose A4 letter paper. Will you be using for personal or business purposes? 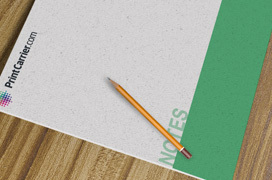 Both A5 and A4 letterheads are well-suited for personal correspondence. For business communications, A4 letter paper is best. As just mentioned, our four products in the category of “letterheads” can meet different needs. Each of them also comes with various options in respect of paper weight, colours, quantities and delivery times. The following sections explain how to make the best possible choices for your application and company. So read on! This paper is completely recycled and has been awarded the “Blue Angel” eco-mark. An A4 sheet of it only weighs 5 grams. Consequently, it saves you postage while avoiding environmental burdens. These are two tangible benefits that both your customers and your accountants will greatly appreciate. 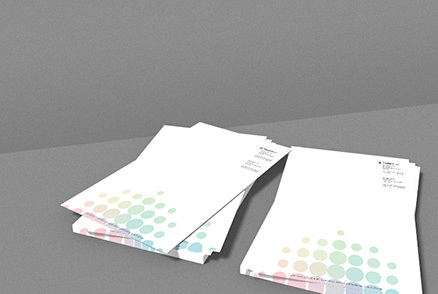 We only use our lightweight 80gsm eco-paper for printing A4 letterheads. The address is optimally aligned with the envelope’s window. The folding sequence is consistent with the direction is which normally read. The main contact data – typically placed at the top left or right – are immediately visible. The usual name – double cross fold – aptly describes the resulting fold pattern. You fold the sheet – it can be A5 or A4 – in the middle, then rotate it by 90 degrees and fold it in half again. The double cross fold is typically used for personal letters etc. sent in a C6 envelope (for A4) or C7 envelope (for A5). You can dispense with fold marks. When using a windowed envelope, the address is usually printed in exactly the right place on the back of the sheet using an inkjet or laser printer. You can of course also write it by hand or attach an address sticker. E-mail lets you attach pictures, documents, links and audio recordings and thus use various channels to address multiple senses. 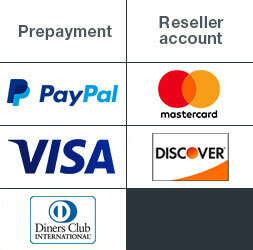 And at no added cost – it’s quick and convenient to insert them where appropriate with a click of the mouse. These two advantages pay off in our fast-paced world, especially for dispatching messages to many recipients at the same time. Advocates of old-style letters counter that extra content can also be included when using the post, while admitting that this approach is costlier and requires a greater effort. 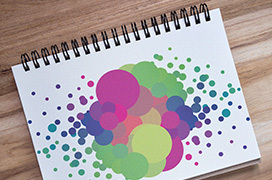 When you order letterheads from us, by default we print them in full colour on one side. This goes for all four basic products. You also have the option of requesting our A4 and A5 letterheads printed on both sides – either in full colour on the front and black on the reverse or vice versa. It’s up to you. 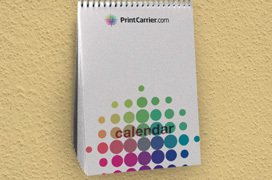 Here’s our goal: for you to always order your advertising, business and other printed materials from us at PrintCarrier.com. Whether you want to reprint your delivery notes or business cards or get new letterheads printed along with suitable envelopes. Economically, fast and with a 100% satisfaction guarantee.